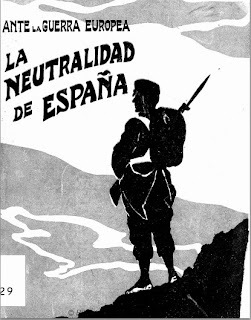 We mentioned before that, oficially, Spain was neutral during the I World War but, in real life, it was a secondary scenario of the conflict, because its raw materials and its strategic position. Here you have an additional topic about that issue: Spain and the Great War. What were the relationships with the different alliances? What was the target of the secret servicies? The press debates? etc.